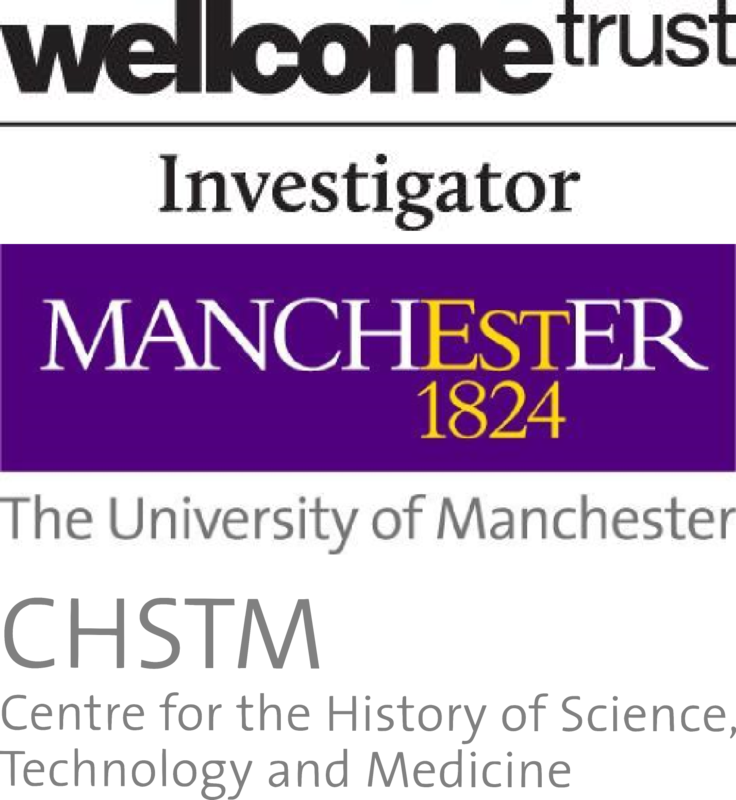 Recently I went to a fascinating research seminar on the history of the theory of mass extinction and the human fears of and impact on extinction given by historian of biology, Dr David Sepkoski (Max Planck Institute for the History of Science, Berlin) at the Centre for the History of Science, Technology, and Medicine (University of Manchester). It got me thinking about not only imagined extinction in fiction (I’ve researched/written about Planet of the Apes’ and its post-human/post-apocalyptic worlds), but also about how some recent science fiction shows, predominately in the Marvel (MCU) and DC storyworlds, have drawn upon human fears of extinction and being replaced (and thus super threatened) by another human race (or more specifically, a secondarily evolving hominin species). The fear isn’t of an invading species of aliens, or the rise of intelligent apes – but a threat that is much closer to home, a threat from within human DNA (what Kirby  refers to as ‘the Devil in our DNA’). We come across mutations all the time: blonde hair, blue eyes, left-handedness. ‘Amy, you are a mutant’ as Charles Xavier (James McAvoy) exclaims in X-Men: First Class. Sure, I can be mutant and proud. Prof. X goes on to explain that: ‘…you mustn’t knock it. Mutation took us from single-celled organisms to being the dominant form of reproductive life on this planet. Infinite forms of variation with each generation, all through mutation.’ Mutations are used for entertainment in comics, TV shows and films including The X-Men, Spiderman, Heroes, The Tomorrow People, and even The Teenage Mutant Ninja Turtles (heroes in a half-shell). The characters from these franchises have been dramatically transformed or gained a variety of super powers (and dangerous powers they can’t control) due to a mutation of their DNA. The ‘science!’ in these shows can be rather suspect and may well lead to misconceptions about gene changes and inherited characteristics, but it makes a great science-based start for an entertaining story. Mutations are changes to the DNA sequence that may change the look or function of an organism. Random mutations occur naturally but they are not always inherited by the next generation. Mutations are considered one of the driving forces behind evolution because they can potentially effect changes in populations over time – an idea that has inspired many fiction writers (even if lay understanding of the science has bred some major errors in the popular understanding of evolution). The Tomorrow People was originally a British TV show in the 1970s and 1990s, and most recently remade by the CW in 2013. In the series the teenage protagonists represent the emergence of new stage of human evolution. They are Homo superior (sometimes referred to Homo novis) but commonly known as the ‘Tomorrow People’ – they are born to human parents but during puberty they have developed special psionic powers. Of course they are forced to hide in fear that normal people (Saps, Homo sapiens) will victimise them and try to exploit them. Although the Tomorrow People are imbued with these powers they have also evolved in a way that makes them genetically unwilling to kill, and thus not in a position to ‘compete’ for dominance. In X-Men, the X-gene mutations that have developed naturally over time have led to the development of a huge range of powers, but the franchise problematically suggests that the mutants are in an evolutionary struggle with humans – which is a scientific error that may just serve to reinforce popular misconceptions. Evolution is not goal-orientated and does not follow a predetermined progression, the mutants (X-Men People) are just a variant of Homo sapiens and not in a biological evolutionary fight for dominance. In other examples of evolution science fiction mutations are somatic (occurring after conception). For example radioactive spider bites (Spiderman), radioactive spillages (Daredevil), and accidental exposure to gamma rays (The Hulk) – these environmental mutagens (e.g. toxic chemicals) alter the DNA structure but they cannot (if we stick to the science) be passed on to the next generation. 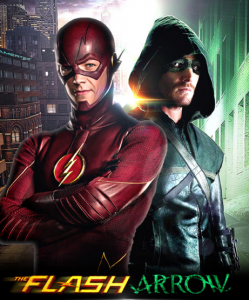 The Metahumans in The Flash and Arrow gained their powers following an explosion at the S.T.A.R Labs’s particle accelerator (it is how Barry Allen/The Flash becomes a speedster). This genetic change is caused by a catastrophic event rather than a slower biological evolution and normal people are transformed with powers (that they tend to use malevolently). The idea of being unable to control a physical mutation is also central to Marvel’s Agents of S.H.I.E.L.D where many of the self-titled ‘Inhumans’ initially struggle with controlling their powers when they first develop with disastrous consequences. But the Inhumans are not a natural variant of Homo sapiens, instead they are the result of alien (the Kree) experiments on primitive humans that took place millions of years ago, which led to the development of the subspecies Inhuman. The alien Terrigen Crystal is the catalyst for Inhuman activation, and if released into the atmosphere in sufficient quantities (as mist) would lead to the activation of all of those who carry the gene and the immediate mass extinction of those who do not. Terrigen is lethal to humans. In Agents of S.H.I.E.L.D the uncontrolled activation of Inhumans is the result of traces of the Terrigen making it into the water supply. The Inhumans, like the Tomorrow People separate themselves off from humans in a hidden community called Afterlife/Lai Xi to keep themselves safe, but to also allow their abilities and technologies to develop without the interference and intolerance of humans. In the opening to ‘Laws of Nature’ (ep.1/season 3) of Agents of S.H.I.E.L.D we see the results of a man who is unable to control his newly emerging power: melting solid matter. In The X-Men, Agents of S.H.I.E.L.D, and The Tomorrow People it is not entirely a choice for the mutants to be separate from humans but rather an isolation that is a result of their genetic differences. Their genetic enhancements impact upon their ‘freedom to choose their own life paths’ as they are restricted from living normal lives alongside humans because they are frightened of being exposed, detained, or even executed (Kirby & Gaither 2005, 268). In Agents of S.H.I.E.L.D Inhumans under-go both medical and psychological observation before they are allowed to ‘go out into the field’ as agents of S.H.I.E.L.D or to re-assimilate into the human population. The change from human to Inhuman is sudden (due to the Terrigen leak in the water) and causes more than a disruption on a genetic level. The Inhumans all struggle with their changing identity when they transition from human to Inhuman questioning not simply who they are, but also what they are. The first two series of Agents of S.H.I.E.L.D revolve around hacktivist Skye (Chloe Bennett) and her search for a family. When she gains her Inhuman vibration manipulation abilities and the knowledge about her history and her parents she reverts to her birth name Daisy Johnson. She becomes a new version of herself that is informed by her previously unknown past and her present where she must develop an identity that incorporates her life as an Inhuman. At first her abilites are frightening, something that has happened to her without her permission, but she ultimately learns to control them (with the support of technology: gloves) and goes out into the field to protect and help other Inhumans. With, perhaps, the exception of the Inhumans, the mutants discussed here are not Frankenstein’s monsters (unnatural experimental scientific creations) intent on invading and replacing humanity. Yet, in these narratives many humans, or at least those in power or controlling government agencies see them as a threat. Something to be feared, controlled, and in many cases eradicated. Evolution is tempered by impermanence and yet humans often see themselves as an evolutionary peak that cannot and should not be replaced or even altered. Humans will be agents of their ow n decline, and their possible extinction is likely to happen for political (human-made) rather than biological reasons, in struggles that have nothing to do with DNA base pairs. The Earth is, as explained by Elizabeth Kolbert, in the midst of human-made sixth extinction. 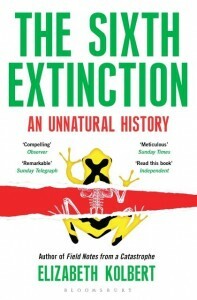 In her popular science book The Sixth Extinction: An Unnatural History Kolbert shows that humanity has been integral to accelerated, widespread extinctions. Humanity can adapt fairly quickly to change whereas other species struggle with relocating to new environments and ecological situations after their natural habitats have been cut down, built over, and polluted. Like humanity’s determination to preserve itself, we are also selecting which species ‘deserve’ to be saved thus shutting down some evolutionary pathways whilst letting others flourish. Evolution science fiction does not necessarily imagine mass human extinction. But it does push humans away from the centre of the narrative and shatters the idea that they are at the centre of the universe. Post-human narratives often imagine a future where humans are not alone; they are dominated or share power with mutants, robots, aliens, and even apes. They downplay the idea that humans are ‘special’, and remind us that our place in the world is contingent and that the future of humanity is neither stable nor certain. The potential for genetic change and enhancement, whether naturally or unnaturally attained, challenges definitions of what it is to be human. As highlighted by the use of terms like ‘inhuman’ and ‘meta-human’ these fictional figures are defined by their difference and non-humaness. They are interpreted not as a natural progression but as a threat to the status quo of human evolution. The fear that the human (unmodified) characters show in these movies and TV shows can be aligned to real-world uneasiness with the emergence of genomic research and the real possibility of genome enhancement. Science fiction continually changes in response to real-world science reflecting and engaging with popular currents of thought and in this case specifically questioning the bioethics of manipulating genes and how we would and should respond if humans changed naturally. 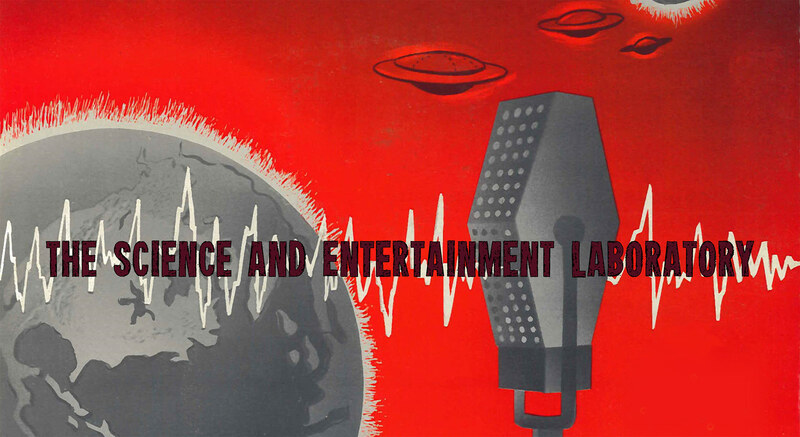 David A. Kirby, The Devil in Our DNA: A Brief History of Eugenics in Science Fiction Films. Literature and Medicine 26:1 (2007). David A. Kirby, and Laura A. Gaither, Genetic Coming of Age: Genomics, Enhancement, and Identity in Film. New Literary History 36:2 (2005). David A. Kirby, The New Eugenics in Cinema: Genetic Determinism and Gene Therapy in “GATTACA”. Science Fiction Studies 27:2 (2000). Mark Brake and Neil Hook, Darwin to the Double Helix: Astrobiology in Fiction. International Journal of Astrobiology 6:4 (2007).